Embroidered Workwear & Printed Workwear | Your Brand. Your Logo. There are some complexities that surround whether you should get your company uniform embroidered with your logo and brand message. You don’t want to end up with an inferior product, and so the best thing that you can do is look at a company like Advance Printwear for your custom workwear. Not only do you get the uniformity that looks professional and smart, you get a workforce that is consistently advertising your name on some of the best quality materials on the market. 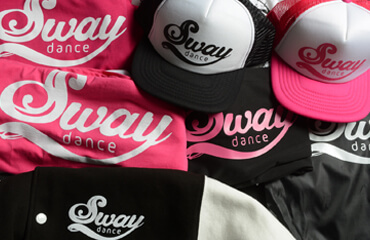 At Advance Printwear, we look at how we can help you, whether it’s a mass production of clothing that has been embroidered with your brand, or just a few simple pieces to add to what you already have. We’re all about talking you through your options so that you are satisfied – every step of the way. The one thing that Advance Printwear is good at is providing an impeccable service to those who require custom workwear. 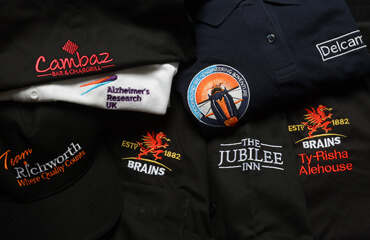 Branded shirts for customer-facing roles, warm fleeces bearing your company logo for being involved in outdoor events and branded and embroidered clothing are all in high demand, and we know this because people are asking us for our help. You want quality clothing in the correct sizes for all your staff, which is exactly what Advance Printwear provides. Your brand needs to be represented in the right way and you want people to be impressed by the quality of the embroidery on your personalised workwear. The more impressive you are, the more relaxed clients and customers at all levels will be. This is the typeof environment that you want to promote. Advance Printwear are able to assist you with a wide range of products, so don’t be afraid to ask us questions about the quality of the materials that we offer. So, what else can we do for you? We offer you the service to place your design or logo in the right place on your clothing, meaning that you are getting the best possible exposure to the masses. Our team at Advance Printwear can also reconfigure the logo for you, giving you expert advice that can maximise the clothing you are designing. 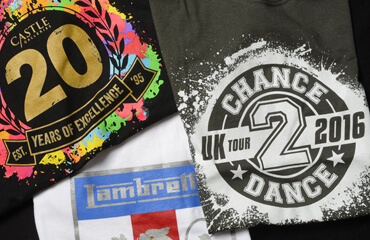 Advance Printwear can offer you such a range of sizes and styles of clothing, you will be utterly spoilt for choice. You may choose to go a different route for your embroidered workwear and just put your name on hoodies for events. Either way, you can make a unique decision for the way your people promote you. 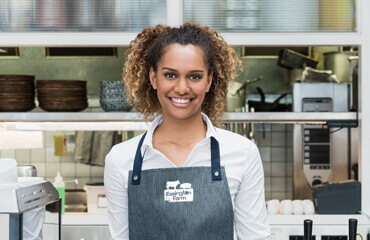 If you want your staff to be unique as well as uniform for each of your global business locations, we are here for you. We can print as little as ten products all the way through to ten thousand. There’s not a job too big or small that we can’t handle, so you should consider contacting us for a conversation to see how we can help. As we are embroidered workwear and printed clothing specialists you can be confident of achieving a successful project; on time and on budget. Get a quote now or call 0121 322 2111. If you’re a multi-site business we have the perfect online solution to your embroidered and printed clothing requirements. Save time. Save money. Keep your brand consistent. Call now on 0121 322 2111 or use our contact form to find out more. Just wanted to say a big thank you for getting the work wear to me in such a short time frame. After opening and trying on I love the jackets and polo shirts. We work hard to make sure that your brand is consistent across your embroidered and printwear garment order. 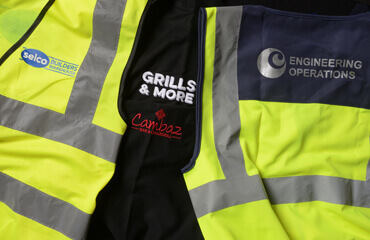 We can advise of the best garments for you to keep your brand consistent across your workforce. Save time, save money and keep your brand consistent by using our dedicated online ordering system for your multi-site business. We have access to 1000’s of garments and can advise of the best products that have the largest span of sizes for diverse workforces, from size xsmall through to 6XL and from ladies size 8 though to size 32. Our service is flexible that enables us to embroider and print from 10 garments through to 10,000 garments – every order is assessed for quality of finish and our standard ordering timespan is one working week. Our secret is in your brand. Advance Printwear are experienced in the production of embroidered workwear and high quality printed workwear, whether you are catering for outdoor workers or simply want a more uniform look in the office. If you’ve got the staff, we’ve got the quality clothing and embroidery to make them look good. Advance Printwear can assist you with anything from branded workwear to printed polos, fleeces, hi visibility clothing items, coats and jackets and shirts for the company floor. You don’t have to worry about your job being outsourced elsewhere. Advance Printwear are proud to be able to print and embroidery all items in house, with our experts right where you expect them to be. The one thing that you can expect from Advance Printwear is a bespoke and personal service. We work alongside you from start to finish so that you are happy and satisfied with the product and the service that we can offer you. We are all about the quality of our products, so don’t be in any way concerned that they won’t live up to your expectations. Need a sneak peek? Advance Printwear are happy to provide you with print and design visuals before we get to work, so that you can adjust and adapt as you see fit. We will not produce anything without your full sign off, giving you the peace of mind you need and the confidence in us. Advance Printwear understands that your company is not going to have the same needs as others out there that employ embroidered clothing across their staff. Branded clothing ranges are all the rage, and we can absolutely assist all companies that need an embroidery service for their business. We’re a company that cares about your needs; which means that we are able to provide you with sizes and styles that count. Our customers know the value of working with a professional, reputable company that makes quality goods in the size, style and colour requested. Advance Printwear offers this exact service. Whether it’s embroidered workwear for your front of house staff or high visibility jackets for outdoor workers, we are happy to hear what you want and meet that brief that you give us. Based in Birmingham and with more than 20 years’ experience, Advance Printwear supplies the corporate and hospitality sectors with state of the art facilities to embroider and print materials. Talk to us today and let us help!